As a local, family-owned operation, West Coast Sanitation, Inc is committed to providing excellent service. We have the experience you can trust for all your septic, plumbing, and construction needs. Now hiring Class A & Class B Drivers / Equipment & Vacuum Truck Operators. Click Here To Contact Us. West Coast Sanitation’s septic experts are trained in a wide range of commercial septic system services. Our highly trained technicians can guarantee to find a solution for all your commercial septic problems. From commercial septic tank installations and repairs to hydro-jet cleaning, our dedicated professionals can do it all. West Coast Sanitation’s septic experts only use the latest high-tech equipment to provide our customers the highest quality service. West Coast Sanitation is fully licensed and insured with septic system experts providing the best quality service for all septic issues. In order to have your residential septic system running at its best, it is important to maintain your septic system for optimal function and possible prevention of any future problems that may go wrong. Our trained professionals use only the newest, high-tech septic pumping equipment that can help combat any septic issue or problem. With all of our top-of-the-line equipment, you know you can trust our septic experts with all your residential septic pumping and repairs. West Coast Sanitation is the experienced and trusted local experts at new septic system installation, as well as upgrading or repairing existing systems for residential customers throughout the Inland Empire. Our professionals to trouble-shoot your system and can inform you of the necessary repairs. In order to pump septic tanks, West Coast Sanitation utilizes the newest high-tech septic pumping equipment in the industry to bring our customers the best quality of work. Our technicians use our Crust Buster equipment, a $75 value, to break up solids before the pump for better results. Can’t find your home septic tank buried under all that dirt? 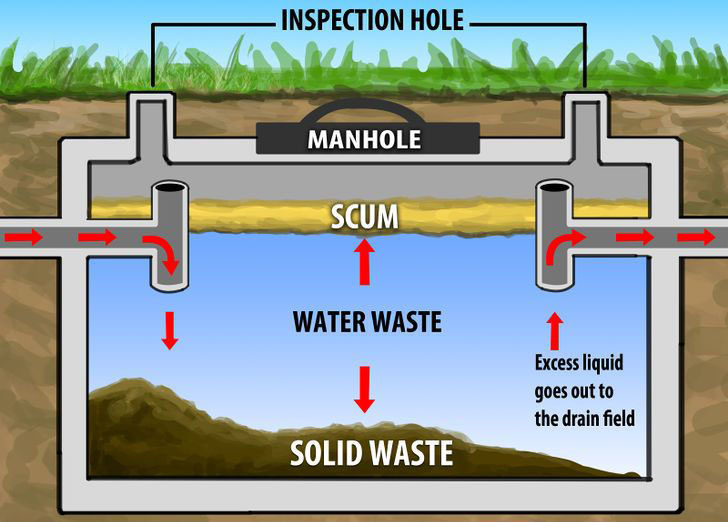 West Coast Sanitation can provide residential septic tank locating services in the Inland Empire. We have the latest technology to find your home septic tank by using our electronic locating devices that can detect cast-iron and PVC pipes that can detect cast-iron and PVC pipes. West Coast Sanitation technicians are trained and certified to install ATU System An Aerobic Treatment Unit (ATU) is an innovative technology, providing consistent and reliable advanced. Always call West Coast Sanitation first. We can ask you questions to help you diagnose whether your symptoms might be attributed to plumbing issues, or if you are truly experiencing a septic system problem. Most plumbers have little or no septic experience, so you could be wasting money by calling a plumber first. We get many service call orders from plumbers who are unable to remedy a customer’s problems.